If you’re planning a trip to Chicago or even moving to the city, the transportation situation can seem overwhelming. A quick look at a map shows the city to be absolutely massive, but rest assured, almost anywhere you’ll likely go in Chicago is probably within a fairly small area of the city and quite safe. 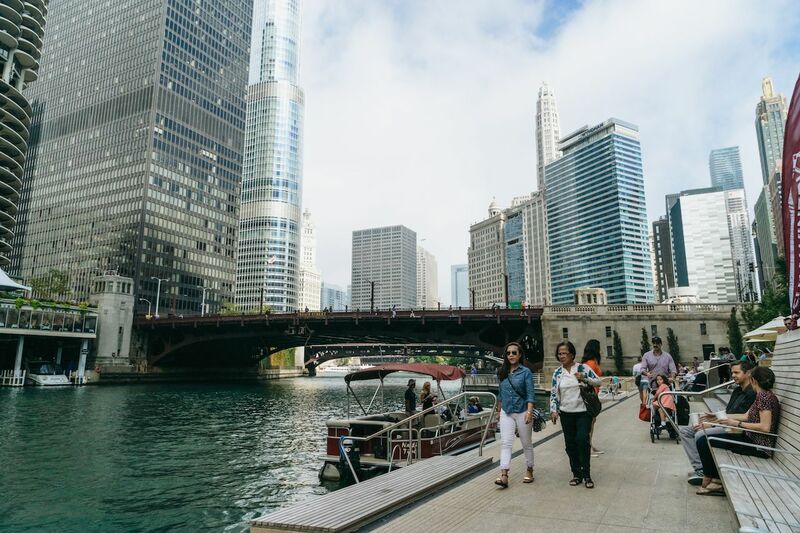 With many good public transportation options, skip the hassle of traffic and driving and try out these tips for getting around Chicago as locals do. Chicago really is a huge city, and if you actually had to cover it all on foot, it would be pretty much undoable. However, whether local or visitor, you’re usually in just a handful of neighborhoods, many of which are adjacent and easy to walk around and between. In any neighborhood, you’re almost always within a one-mile walk of anywhere else in that hood or a neighboring one. The downtown tourist sights are also easily walkable. The actual loop is quite small and everything in it can be reached on foot. Within a few miles, you can cover Millennium Park, Buckingham Fountain, Monroe Harbor, and the Riverwalk pretty easily in a couple of hours. Ventra isn’t an actual method of transportation, but it’s so important that it needs its own section here. Ventra is the payment system for all public transport in Chicago and the suburbs. 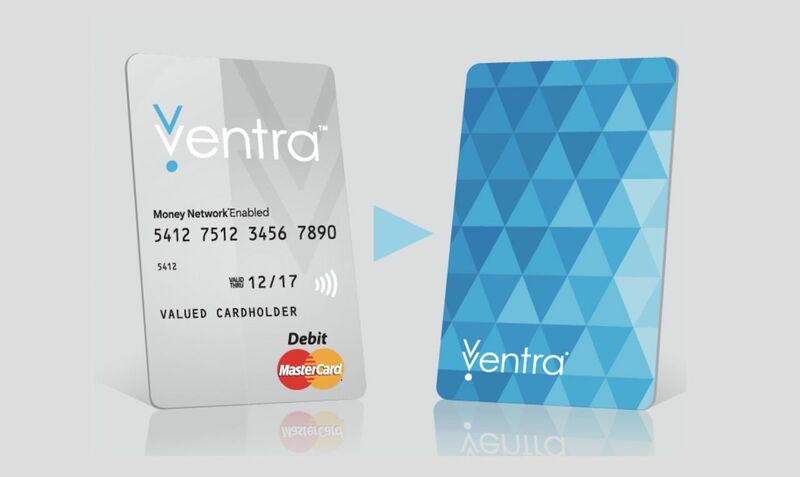 A Ventra card can pay for rides on city buses and trains, suburban Pace buses, and Metra commuter trains. You can buy a Ventra card at any CTA train station, as well as some other locations, such as grocery stores and Walgreens. A card costs $5, but if you register the card online or in the Ventra app, the money is added to your account in transit value. If you’re the type to plan ahead for your trip, you can order one online and have it mailed to you before you go. As much as Chicagoans like to gripe about how bad our trains are, in reality, they are pretty decent. Most famously known as “The L,” an abbreviation for “elevated line,” subway trains are actually split between elevated, ground level, and subway lines. 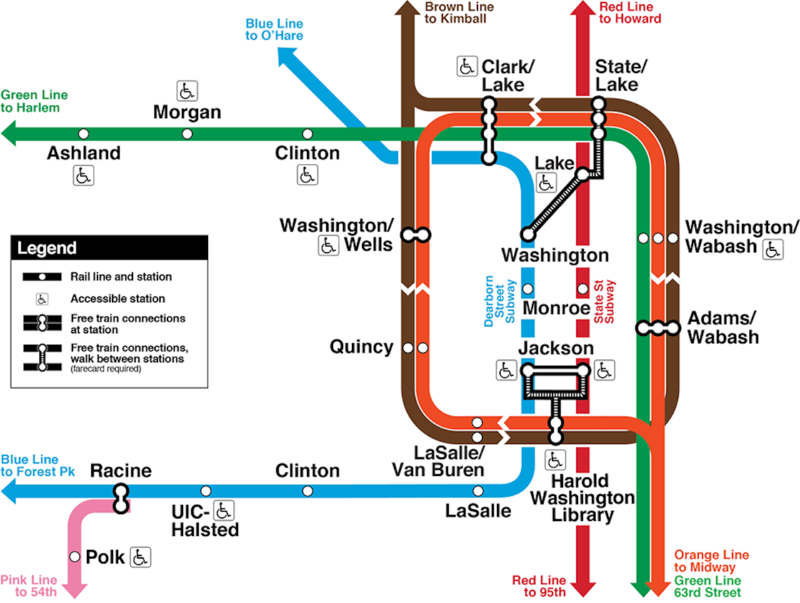 All trains in the city are part of one system, the Chicago Transit Authority (CTA). You can ride CTA trains as far as you like, anywhere they go, making free connections between any lines at any stations where connections are available, all for one price (currently $2.50). If you use your farecard again within two hours of the first ride, you activate a transfer that costs 25 cents and gets you two additional train or bus rides in that two-hour window. The one exception to this pricing is at O’Hare Airport where the fare is $5, including two transfers. You can also buy one-, three-, seven-, and 30-day passes, which will pay for themselves if you plan on riding the bus and train a lot. All payments and passes are handled by Ventra. In places where the trains don’t run, CTA buses have you covered. They use the same Ventra payment system as the trains, and the 25 cent transfers mentioned above work between trains and buses and vice versa. You should definitely use the transit tracker in the Ventra app if you’re taking the bus, and if you have to be on time, you should leave a cushion. CTA buses tend to clump up, so you might miss two or three buses in a row and have a long wait for the next one. 5. Ride the Water Taxi. 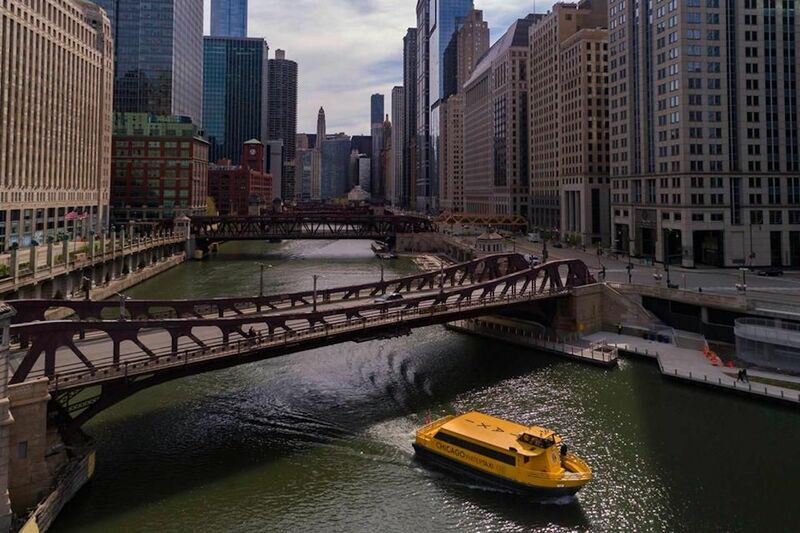 One of the most unique ways to get around the downtown area is to take the Chicago Water Taxi. These yellow boats cruise the river, making stops throughout downtown. They get as far north as North Avenue around Goose Island and as far south as Chinatown. A one-way ride is $6, and there are other passes available. There is less outdoor seating than on the big riverboat tours, and since these boats are more for commuters than tourists, there is no actual tour given. Still, they’re a fun way to get around, and if it works for your itinerary, definitely climb aboard. Metra is the Chicago area’s commuter rail system. These trains originate in downtown and head out in all directions, making a few stops in the city and then going deep into the suburbs. 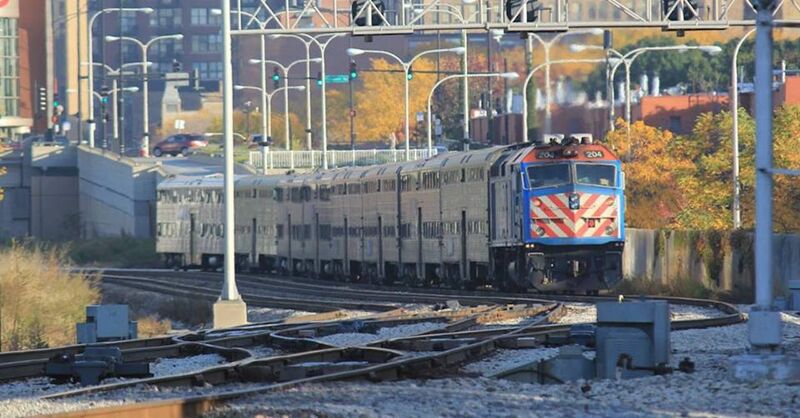 These trains are faster than CTA trains but run less frequently. They cost a few bucks more for rides in the city and get up over $10 for further rides. If you’re going to check out a concert at Ravinia or see the Chicago Botanic Garden, Metra is definitely your best bet. You can track trains and buy digital tickets using the Ventra app. The unlimited weekend passes can pay for themselves very quickly. 7. Pedal on a Divvy bike. 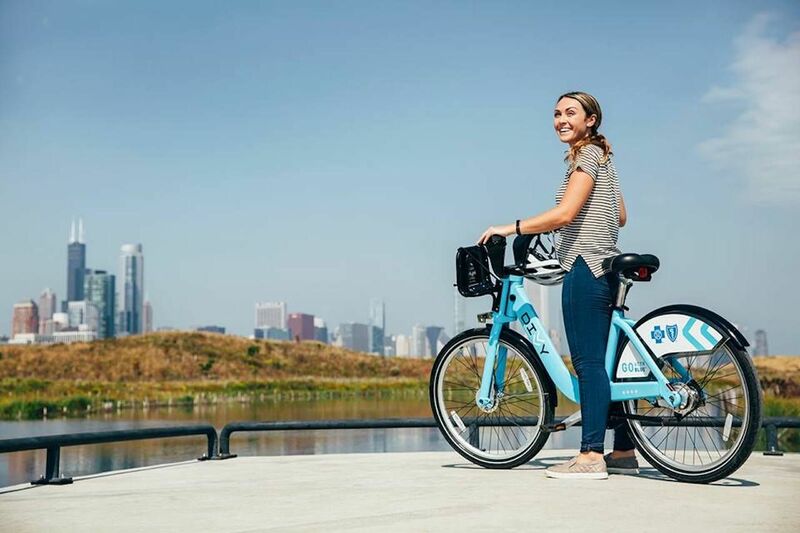 Divvy Bikes is Chicago’s bike-share program, and it’s a great way to get around Chicago if you don’t have a car. You can take a bike from any of the nearly 600 stations around the city and return it to the same spot or a different station when you’re done. There are a few different pricing options depending on what you need the bike for. For locals or anyone who spends a good chunk of time in Chicago, the $99 annual pass gives unlimited rides of up to 45 minutes each. If you’re just visiting and need some quick A to B trips, single rides can be purchased for $3 per 30 minutes. 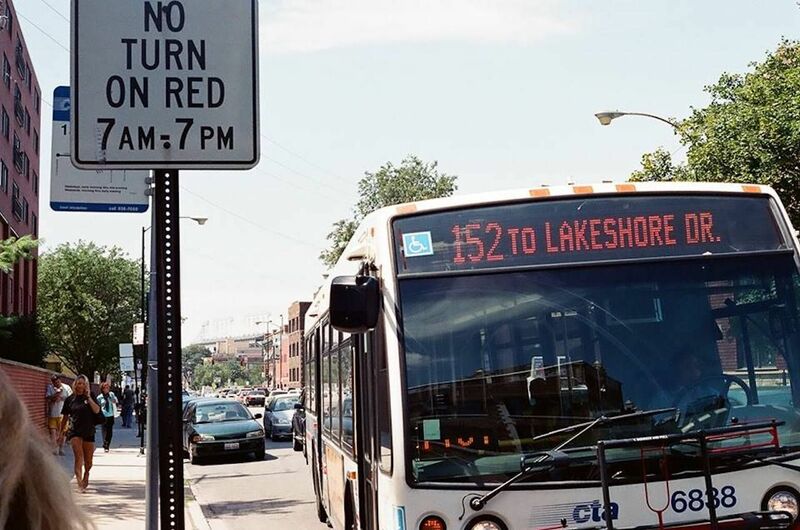 Riders who want to use their bike to explore places like the Lakefront trail, city parks, or the 606 bike trail should go for the $15, one-day Explorer Pass, which will give you unlimited rides, each up to three hours, over a 24 hour period. Whichever option you go with, you should download the Divvy app, which makes it super easy to find a station and pay for whatever pass you need. 8. Get a shared car or taxi. Sometimes there’s just no substitute for a car that can take you directly from point A to point B in climate-controlled comfort. 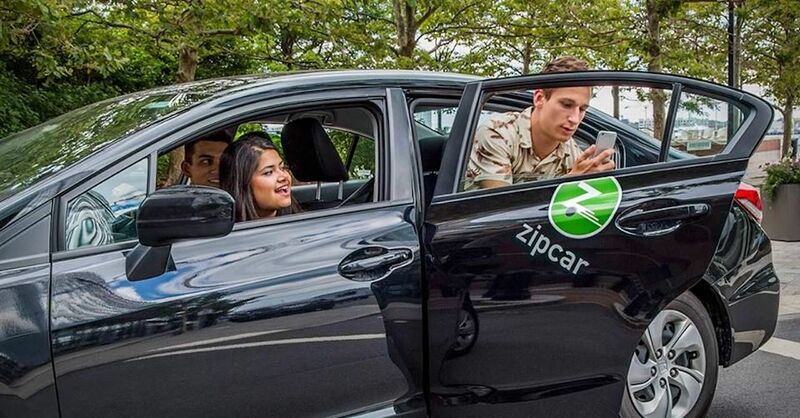 If you just need a car for a few hours and don’t want to go through the hassle of renting, try a car-sharing service like Zip Car, which has pickup and dropoff locations around the city. Chicago, of course, has the usual ride-hailing services of Uber and Lyft, which are always convenient in a pinch. And there are regular taxis always out cruising around. They tend to be a few bucks more than the ride apps, but they don’t have surge pricing, so sometimes they come out cheaper. There are plenty of companies, all easily identifiable as taxis. All are equipped with meters, and the drivers pretty much always use them honestly.